Welcome back to Monday Motivation! Have you noticed that when the last week of school hits and Summer is almost here that you cannot find one good tote bag, never mind four or five! Summer is the time of year for hauling all of the necessary items from your home to the pool, the beach, the park and probably the lake too! There is always somewhere to go and it seems that all of those places require stuff! You can be assured that if you have kids, the stuff will be tripled because the smaller people are, the more things they need! One bag is never enough for Summer. 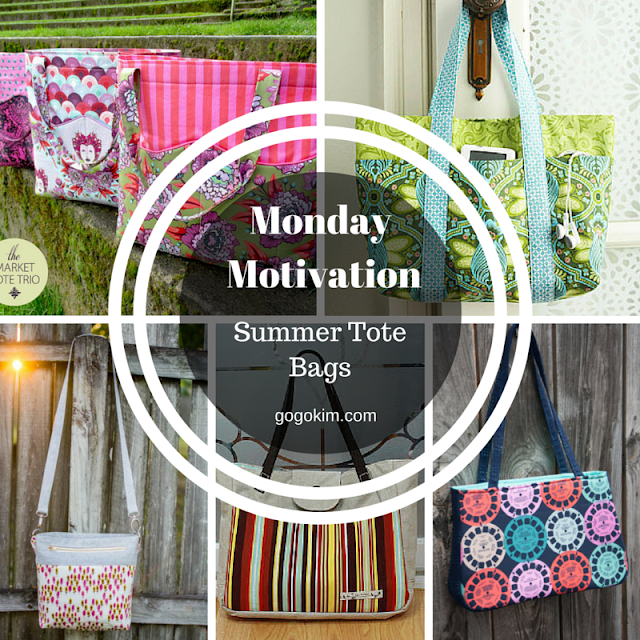 The Monday Motivation collection this week is ( I am sure you have guessed) TOTE BAGS! All of the bags shown are free tutorials and patterns from very talented designers! 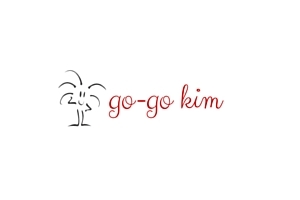 A big thank you to them for making these available to everyone! 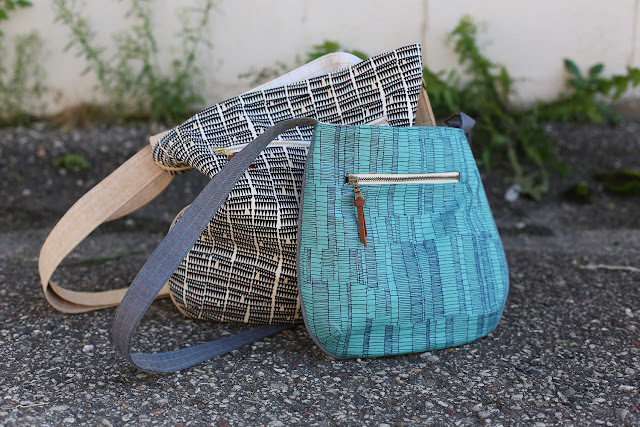 The Convertible Cross Body Tote by Caroline from She Can Sew is a go to bag that is easy to carry and just the right size for everyday use! 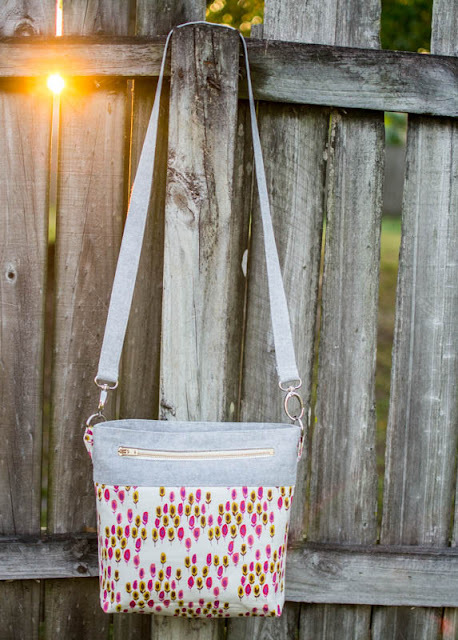 It has zippered pockets and lovely metal strap holders for some extra sassy! 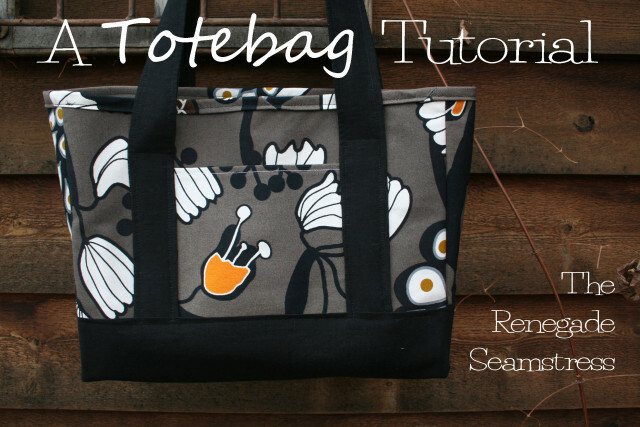 Another easy, free and fabulous tote bag designed by The Renegade Seamstress. The use of Ikea fabric is an awesome choice for its affordability and durability! 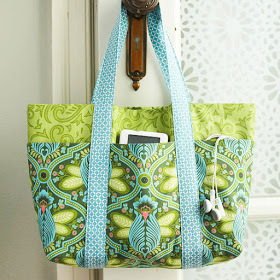 The Baker Street Bag by Sew Sweetness is a lovely tote with a recessed zipper to help keep all of your goodies inside your bag. This bag is a generous size to fit everything you need for a day at the beach or pool! A Simple Six Pocket Tote from Better Homes and Gardens is a great way to have easy access to everything you need to grab wile juggling the kids and pets too! The pockets are on the outside of the bag. 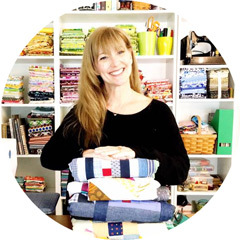 Here is a tote for the littles in your house by Christina McKinney for Birch Fabrics.! Just the perfect size for a trip to the library so the kids can carry all of the books with grand adventures that they will want to read! 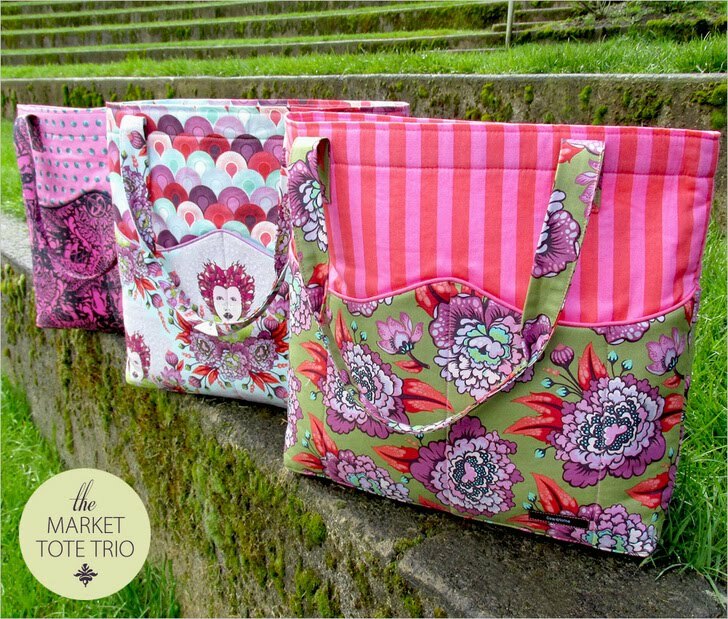 The Market Tote Trio by Sew4Home because one could just not be enough! These attention getting, eye-catching beauties have everything you could want in a tote and more! This tote will be the star of your summer and everyone will stop you to ask where you purchased it! Love this DIY Tote using Leather straps by Gabi from Bee Inspired. The clean lines and flap closure create a more of a finished looking tote. Going out for a casual dinner or even to your work, this bag will fit right in! 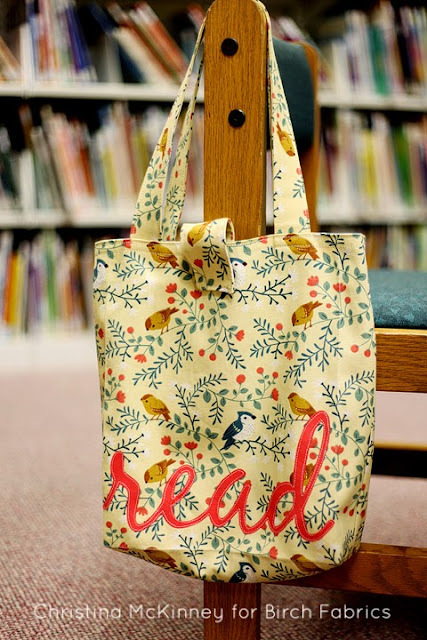 Need an easy tote that looks fancy? 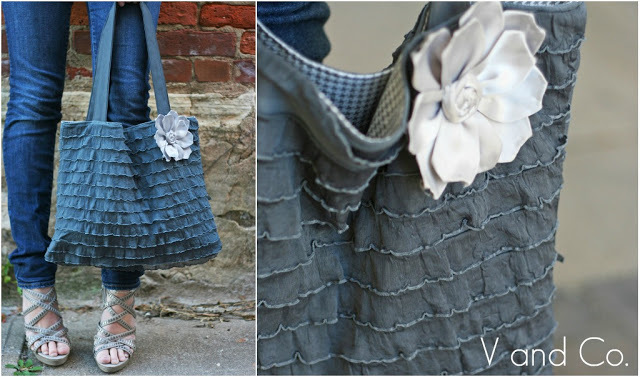 Fancy Carry All Tote by V and Co. is a great solution for practicality meets girlie! 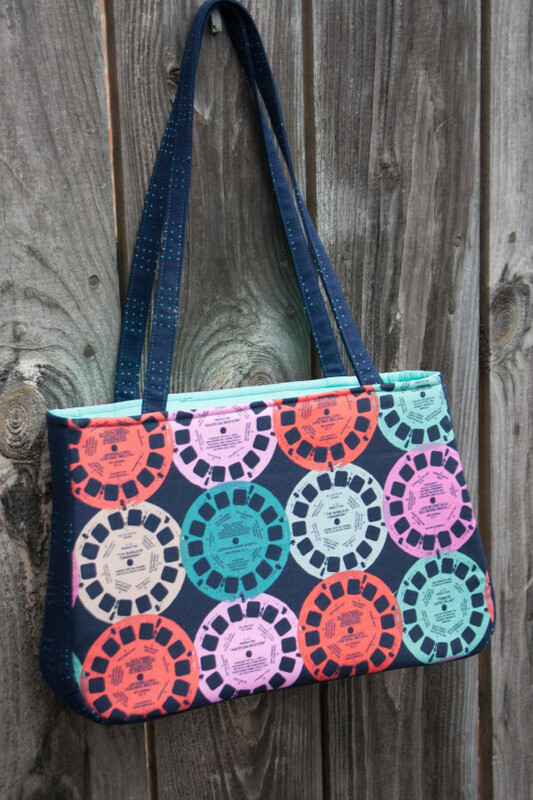 You will want to take this tote out fora night on the town! And finally, sometimes you just need a massive bag that will hold everything and a whole lot more! 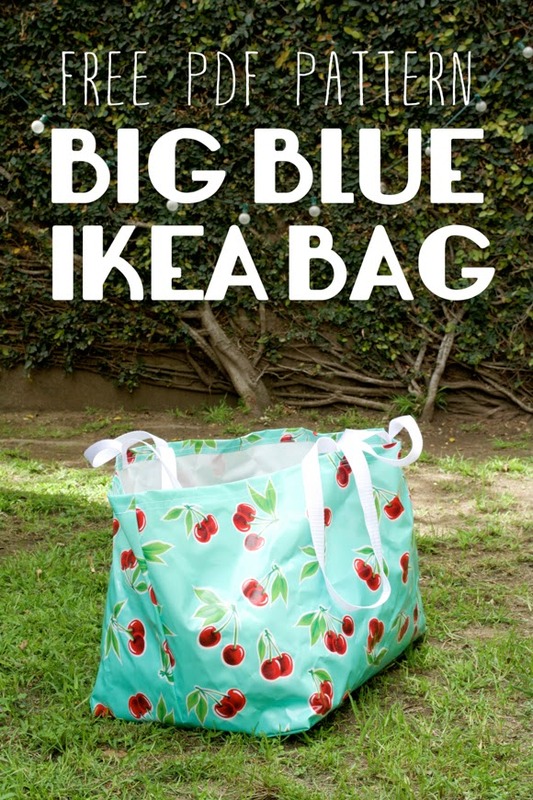 For that task, this Ikea type bag by Miss Make would be the perfect choice! 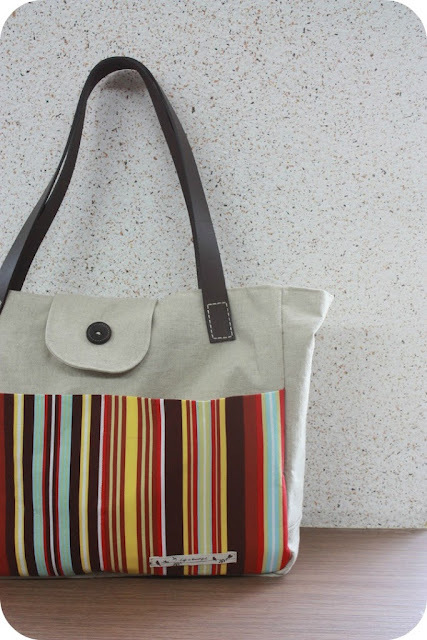 Made in a heavy duty canvas or a nice oilcloth, you will have a very sturdy bag!